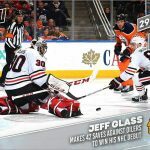 Emergency backup goalies are a celebrated story-of-the-day that happen usually once per season, when a seemingly Average Joe gets to be an NHL player for a game. Who could forget the Washington Capitals web producer who got to be the Caps’ emergency backup in 2008 and again in 2013? Or when Jim Schoenfeld’s son, Nathan, backed up the Arizona Coyotes for a game last season? 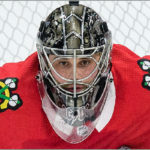 Most recently, Philadelphia native Eric Semborski was an emergency backup for the Chicago Blackhawks when they played the Flyers in Philly on Saturday. But Semborski got something his predecessors didn’t: he got his own hockey card. In the Topps Skate digital trading card app, Semborski was the subject of two hockey cards, released just four days after he suited up for the ‘Hawks. To make that happen, a few hurdles had to be cleared. First, they had to ask Semborski for permision. The back of Semborski’s cards give a rundown of his whirlwind day as an NHL backup goalie. Topps also needed to have a usable image of Semborski. Luckily, they had two. So Salerno decided to create two different cards. After that, they had to get Semborski’s approval. Two days after coming up with the idea, the cards were ready to go. Since these are digital cards, no printing, packing or shipping was needed. 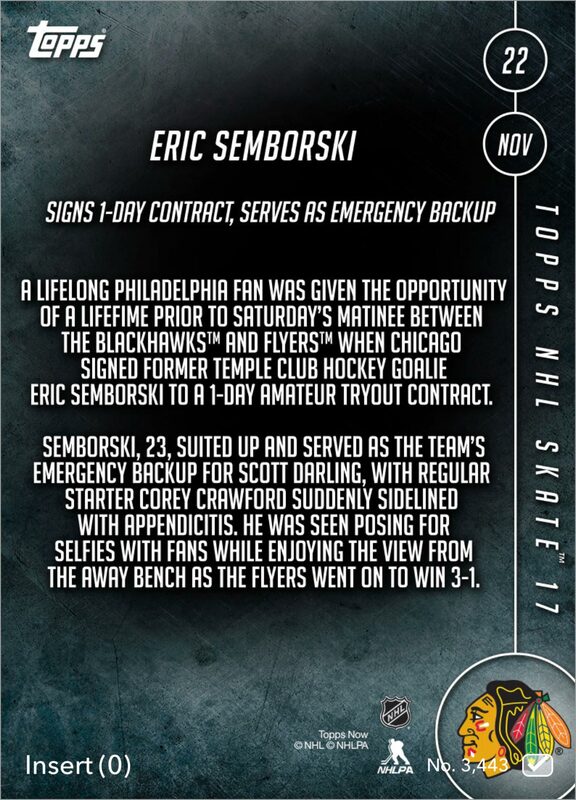 On Wednesday, Topps gave away one of the Semborski cards for free via the Skate app. 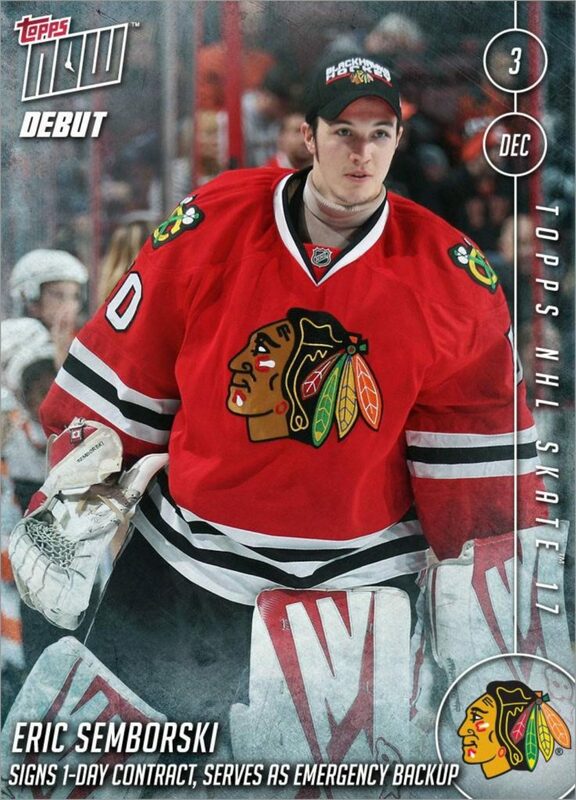 The card shows the former collegiate club hockey goaltender skating in warm ups, decked out in a ‘Hawks uniform and a ball cap — the trademark of backup goalies. The other card, which was a bit more difficult to get, uses an action photo of Semborski stopping shots during warm ups. In order to get this card, fans had to buy specially-marked packs of “Topps Now” cards through the Topps Skate app. One in every 15 packs contained this version. 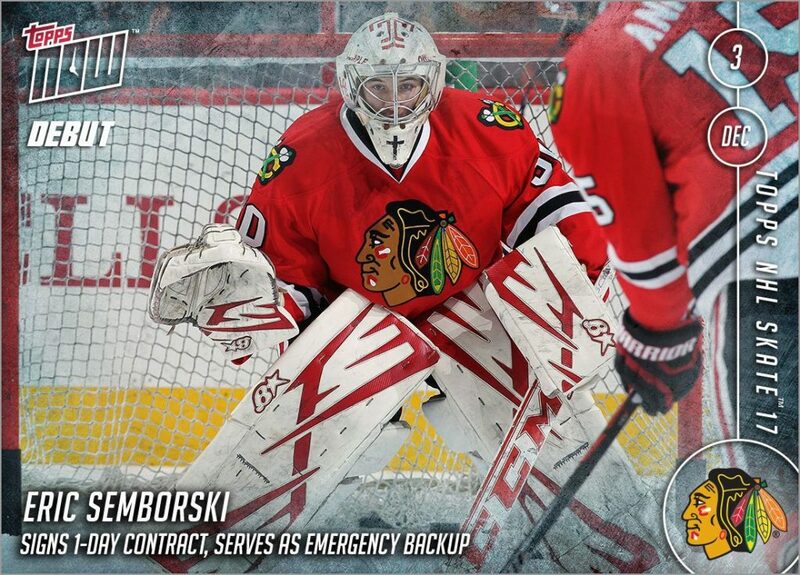 As far as trading cards of emergency backup goalies go, Semborski’s card is truly a first. Len Broderick, who was a “standby” goaltender in the 1950s, played one game for the Montreal Canadiens in 1957 and can be seen on three “game action” cards found in the 1957-58 Parkhurst Hockey set. However, none of the cards are really about him, nor do they mention his name. 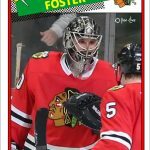 More recently, In The Game made a trading card of Tom Fenton, who was an emergency backup for the Coyotes in 2010, in their 2010-11 Between the Pipes set. But that card showed Fenton with his collegiate team, and not the Coyotes. Semborski’s card shows him in an NHL uniform, has his name on the front and gives his bio on the back — which makes us wonder if these two cards count as rookie cards? 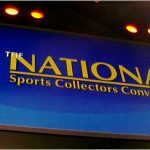 Do you want a free Eric Semborski card? You can get it between now and January 31, 2017. 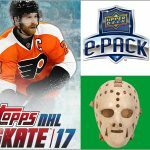 Download the Topps Skate app (for Android or iOS devices) here. Once you have it installed, head over to the Insert Packs in the Store and click on the “Topps Now – Semborski – Free” pack. I have seen you chat/post/share lots of these Topps Digital cards. What are your thoughts? Like them? Love them? More importantly, have you spend any real money on them or just using the free pack a day approach? 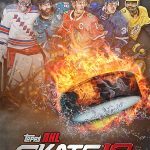 Overall, I’ve really enjoyed the Topps Skate digital app and the trading cards. You get 10,000 free coins per day, which can buy you 2 or 3 packs of cards per day. Or you can save that up and then buy bigger and/or special packs, which is what I usually do. I have spent some money on coin bundles when they’ve gone on sale — say when they put $25 “worth” of coins for $4.99 or something like that. I have also purchased some “Silver Packs,” which have only Silver variants, which score five times as many points in the daily fantasy games. Which brings me to what I really like: playing fantasy hockey with Topps Skate. There are some free contests and some paid contests that cost coins. Some allow very limited moves — so you can swap in some players who are playing that night on the west coast — and some have unlimited or very many moves. The prizes for these is a pack of cards if you place within the top 500. In some special fantasy games, you can get exclusive cards if you place within the top 100 spots. And I think that’s where this app has become addicting to me. It’s basically fantasy hockey where you can win hockey cards. Sure, they might not be cardboard that clutters my desk, shelves, etc., but I’m still having fun.